A regular feature on The Book Chook is where I look at popular posts from previous months and years. 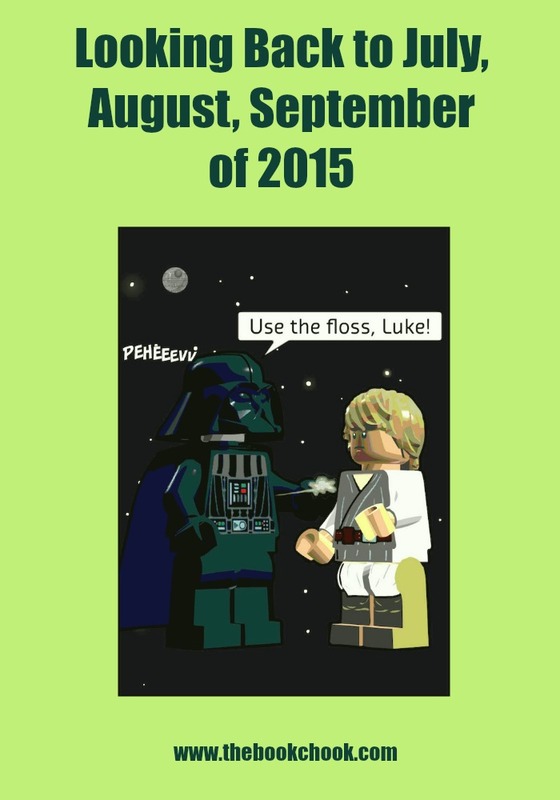 Today my focus will be on posts from July, August and September of 2015. Don't forget you can use the right sidebar to find earlier posts, too. Click Creating, Learning, Reviews, Reading, Writing and Celebrating to explore those themes, or try the Blog Archive to browse by months. The Free PDFs button takes you to my website where you can download any of the free educational PDFs I’ve created. Creating with Kids and iPad Apps: If you want your children to do more than play games with their iPads, check out this list of apps that encourage them to create in some way. Listly for Educators: Why I think the curation tool, Listly, works well for me, and might for you too. A List of Visual Literacy Resources: All my VisLit articles in Listly list format. Try saying that three times fast! Creating Comics and Cartoons with Kids: Another Listly list worth checking. A List of Pinners and Boards for Teacher Librarians: If you are a teacher librarian or someone (like me) with an interest in all wonderful things library, here’s a list of great Pinterest resources you might like. Let’s Celebrate Read a Child a Book You Like Day! : The one day you can push your own agenda, and introduce kids to a book you love/loved. Children’s iPad App, LEGO Movie Maker: LEGO + iPad +making movies = fun with learning! Creative Prompt for Kids - Start with a Blob: Lots of creative activities for kids centring around the “blob”. ** My creative prompts for kids series has been very well-received. Another example: In Creative Prompts for Kids - Start with a Box, I suggested kids should try lots of different ways to create around the central theme of “a box”. All my other prompts are embedded in the list below, so if you missed any of this series (30 prompts so far and more coming soon), you can catch up here.